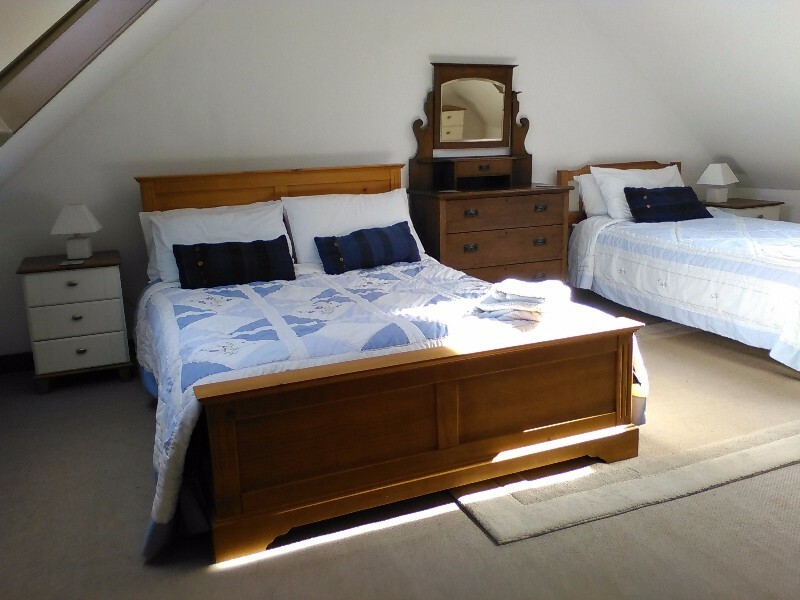 A deceptively spacious 19th Century granite property two minutes walk from the harbour, Stroma Cottage offers relaxed, comfortable accommodation with 4 generous bedrooms that sleep 9 plus a sofa bed, and a large open plan living/dining/kitchen area. 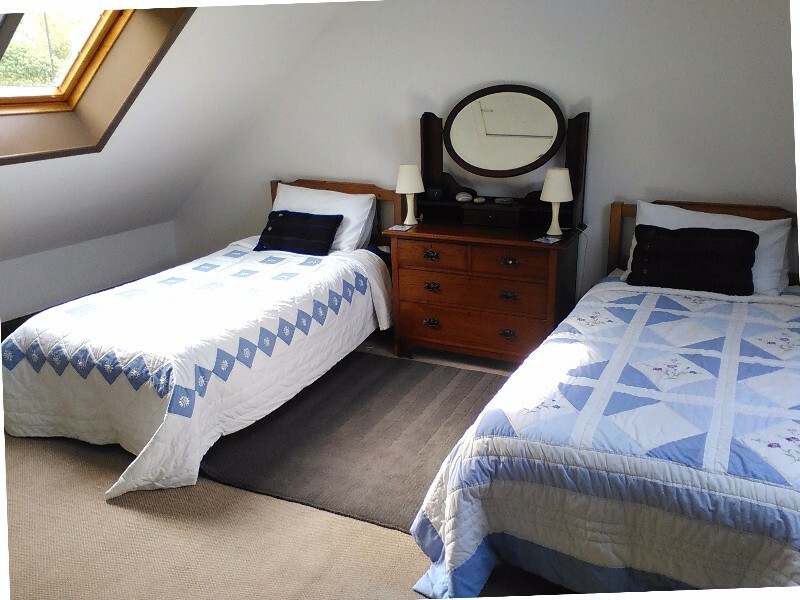 As an added bonus, the house includes a big art studio for sole use of guests. 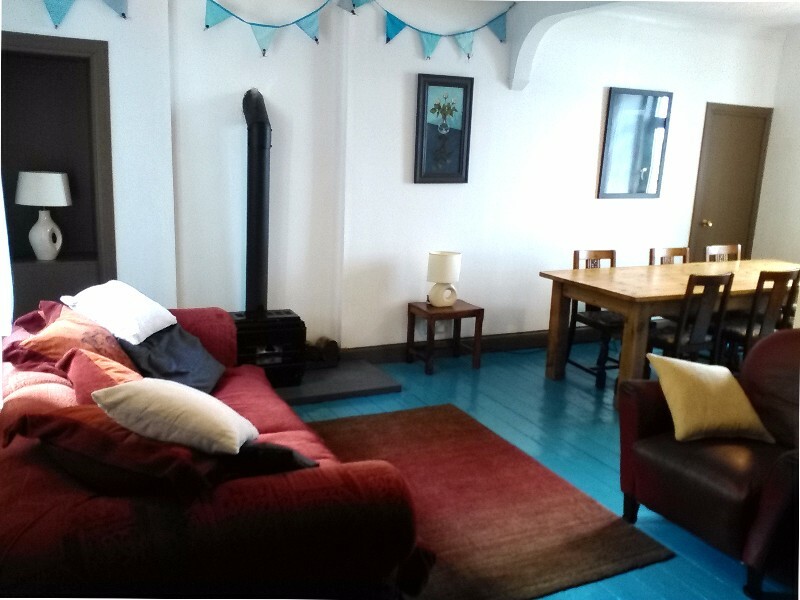 The cottage is decorated in muted earth tones and blues to reflect the landscape, with a mix of original painted floorboards, rugs and carpet. 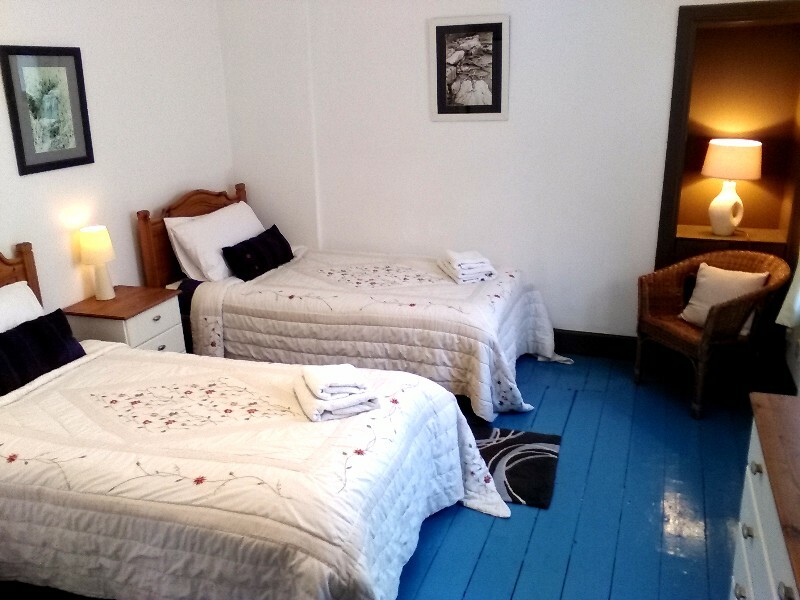 Facilities include free Wifi, 1 double/family room, 3 twin rooms (with an additional sofa bed in one), 2 wc/shower rooms, well-equipped kitchen with dishwasher, oven, microwave and washing machine, and central heating throughout. 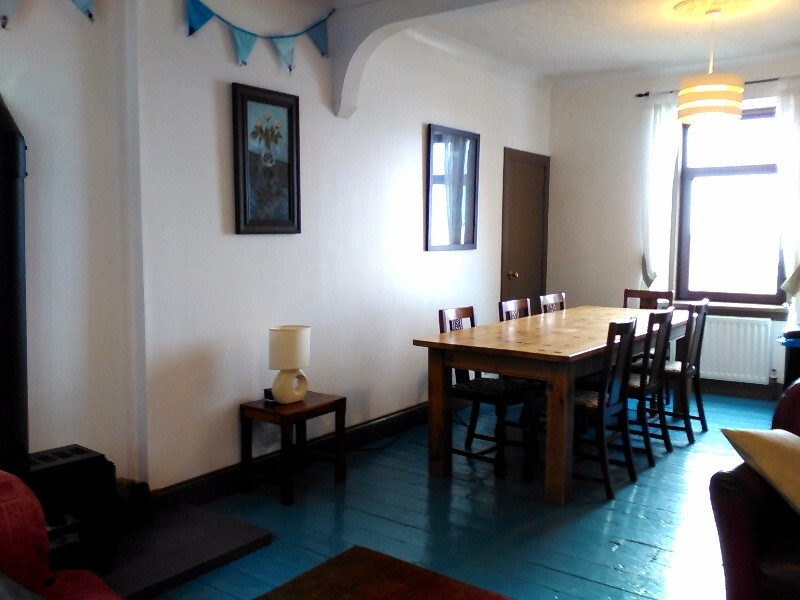 In the living room you’ll find the TV, wood burner and a selection of board games and books. 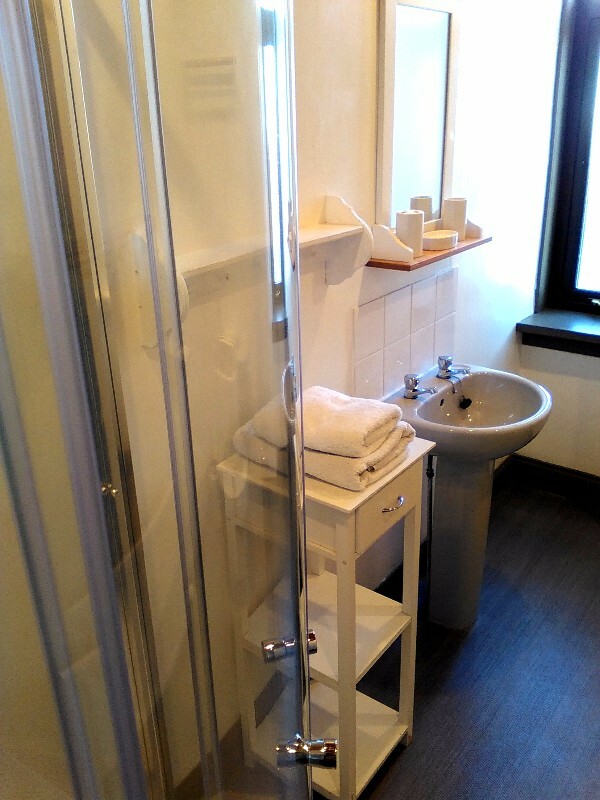 The cottage is equipped with stair gates and we can provide a cot, baby bath, high chair and booster seat on request. There is parking for three cars directly outside. 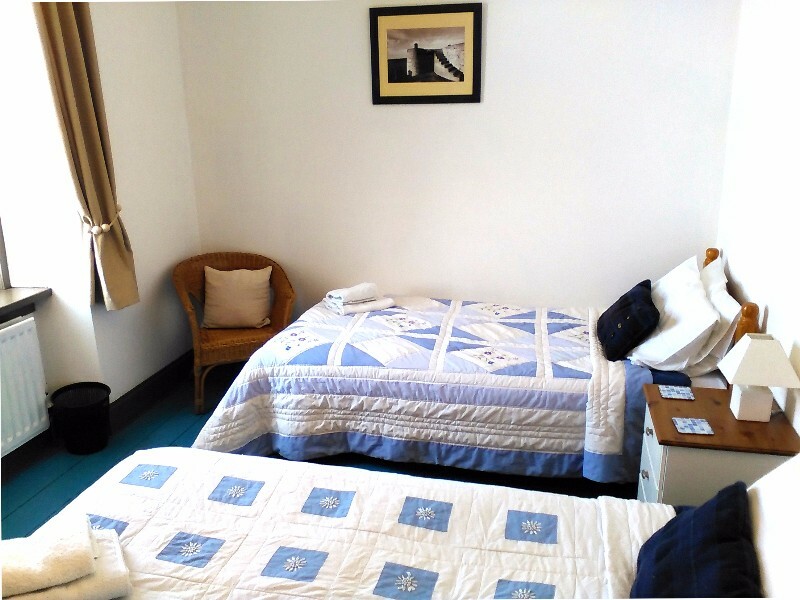 Guests are provided with towels, bedlinen, and complementary tea, coffee, washing up liquid and toilet roll. 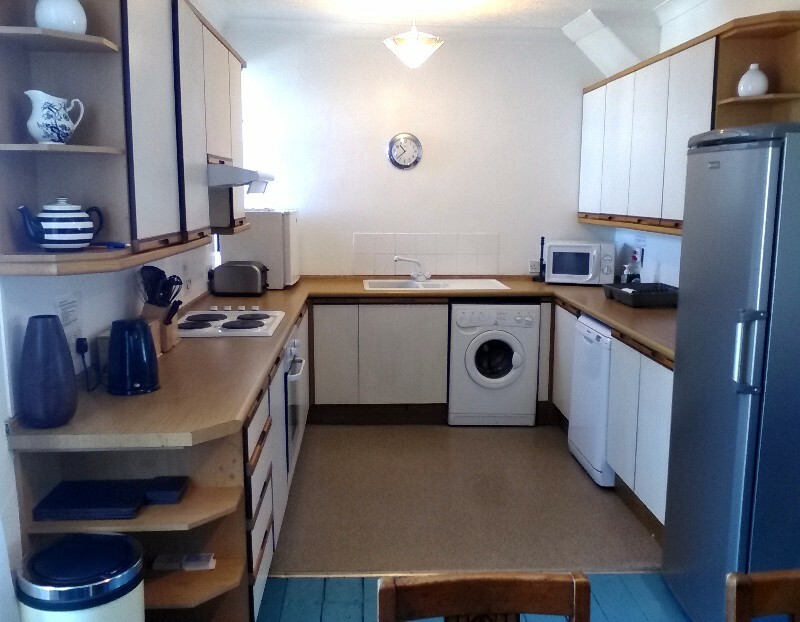 Included in the hire of the cottage is a huge room 12m x 6m, with tables, chairs, easels, sink and wood burner – great for messy art work, drying beach gear or play. The cottage is no smoking. Pets by pre-arrangement only.